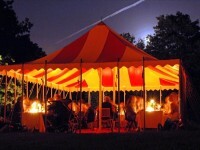 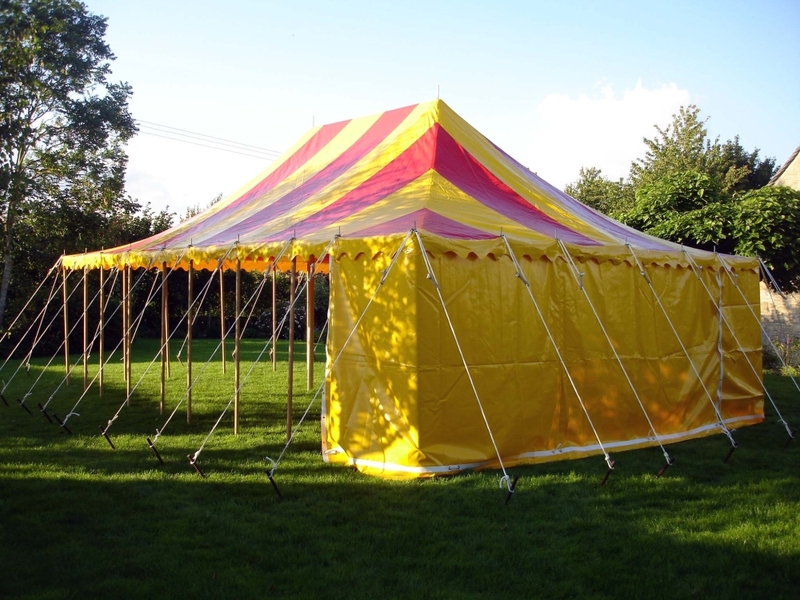 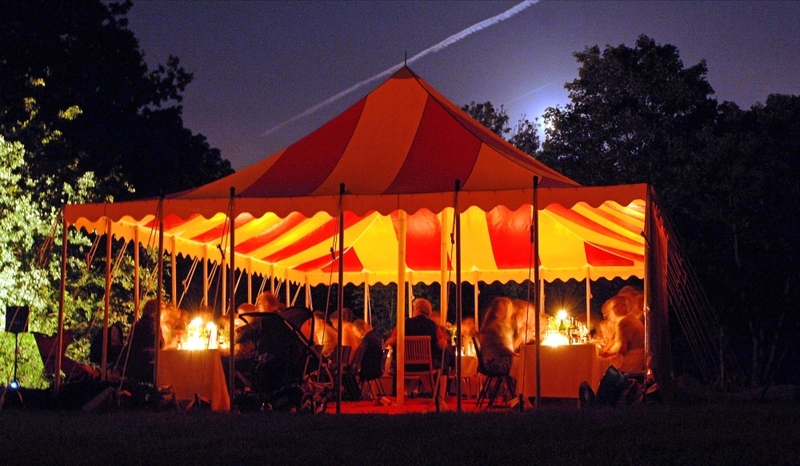 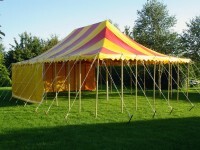 The Red & Yellow 20 x 30ft marquee is certainly inspired by the circus! The complimenting colours of the coated canvas create a subtle, warm glow inside under evening light, and the 7ft high side walls mean easy access for the tall at drinks parties to professional equipment on film shoots. 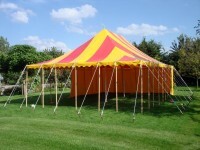 Correspondingly the Red & Yellow marquee is one of our most popular! 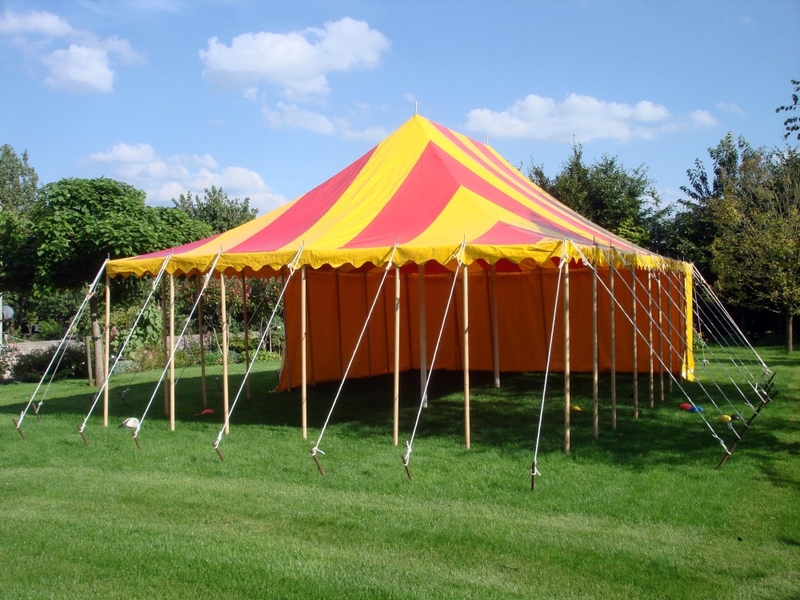 The Red & Yellow 20 x 30ft marquee uses a premium flame resistant pvc coated canvas and is finished to the high Top Up Tent standards with hand-carved wooden dollies atop all poles!